Welcome to the last issue of 2014 of the ECTRIMS newsletter. I am honoured to serve the ECTRIMS as the Executive Committee’s (EC) President for the next two years after the very successful tenure of Maria Trojano. The ECTRIMS summer school has been a great success for two years running now, the fellowship programmes have seen the much needed incorporation of MS nurse specialists and the scientific meetings of 2013 and 2014 have been amongst the most well attended. Also of note, the important contribution made by outgoing members of the Executive Committee Catherine Lubetzki and Tomas Olsson whose work and wise views have kept the ECTRIMS strong and focused. The new composition of the EC welcomes David Miller as the new Vice-president, after an outstanding tenure as Secretary and Per Soelberg Sørensen is new Secretary from also an outstanding tenure as Treasurer. In turn Bernhard Hemmer has taken over as new Treasurer. We welcome new EC members Maria Pia Amato, Tobias Derfuss, and Roland Liblau. In this light, the now long standing collaboration with RIMS, incipient with the IMSCOGS, and of brotherhood with ACTRIMS will also be a priority of the curent EC. Work is in good way regarding the planning for the ECTRIMS-ACTRIMS links to become stronger and ever more efficient. Work will start in the new year to strengthen the links with other organizations to make the _CTRIMS committees network an effective and productive one in persuit of our common goals. A session with reports from all the ECTRIMS network will also be a highlight of the Barcelona meeting. In addition, relations with the MSIF and the EMSP will also be potentiated. Finally, the annual meeting in 2015 will be held in Barcelona. We hope to have prepared a challenging and attractive programme that makes our annual scientific gathering as much a success as it has been for years now. Please do keep in touch with us through the newsletter and the website. Your opinions and suggestions will help to improve ECTRIMS and its activities. Thank you for joining us at MSBoston 2014! The Joint International ACTRIMS-ECTRIMS Meeting took place this year from September 10-13, 2014 in Boston and was a success in many ways. It was the largest joint meeting held to date with around 8,200 participants. It again covered a broad range of topics and related the current research developments to the clinical practice of neuroimmunological diseases. This meeting perfectly reflected the amazing evolution in the research field of MS with an increasing treatment armamentarium and ever more sophisticated techniques to decipher the underlying pathomechanisms. Different teaching courses offered an excellent opportunity to learn from experts in the field. The Boston area was also ideally suited for an enjoyable social programme for accompanying persons. Dihb-Jalbut, president of ACTRIMS, and all their co-workers for their enduring effort in organizing this successful and outstanding meeting. More information is available at http://www.msboston2014.org/. The MSBoston 2014 photo gallery is available at http://actrimsphotos.smugmug.com/. Materials from the meeting are available in the ECTRIMS Online Library. ECTRIMS welcomes new Executive Committee, Council and Honorary Members. An overview of ECTRIMS Executive Committee and Council members is available here. effects, epigenetics and immune activation, role of regulatory T cells, treatment of MS. Further information will be available on the ECTRIMS website at https://www.ectrims.eu/ectrims-focused-workshops/ soon. The next ECTRIMS Summer School on the topic of „Remyelination: from mechanisms to medicines” will be held from 16-18 June 2015 in Nice/France. The scientific organizers are Prof. Catherine Lubetzki (chair), Paris/France, Prof. Robin Franklin, Cambridge/UK, Prof. Gianvito Martino, Milano/Italy. The programme will include lectures on the mechanism of remyelination, imaging myelination and demyelination (screening tools), strategies to enhence remyelination, how to evaluate a remyelination strategy as well as group work, presentations and discussion. Further information will be available on the ECTRIMS website at https://www.ectrims.eu/ectrims-summer-schools/ soon. 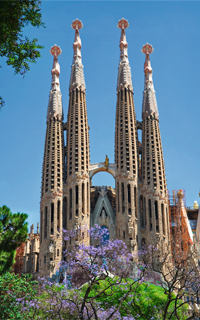 The 31st ECTRIMS congress will take place from Wednesday 7 October to Saturday 10 October 2015 in Barcelona, Spain (CCIB – International Convention Center Barcelona, www.ccib.es). therapies – and how the environment continues to condition MS evolution. Read more. The preliminary programme will be available in spring 2015. The registration will be open at around the same time. Please visit the ECTRIMS 2015 website for continuosly updated information. The 2015 deadline for proposals submission has passed. The new fellowship awards will be announced in the first half of 2015. The review cycle for 2016 will start in July 2015. Information is available here. This fellowship is offered to qualified/licensed nurses to provide the opportunity for them to obtain additional expertise through practical nursing experience and training in a mentored MS environment in Europe. The aim of the programme is to enhance care and support of individuals with MS by fostering improved clinical care and education and by helping to promote best practices in nursing care throughout Europe. ECTRIMS will support up to three fellowships each year, each with duration of 6 months to 1 year, with a stipend of up to €50,000. Training must be under the direction and mentorship of a senior MS nurse, in association with a senior MS clinician where appropriate, at a European clinical site with significant expertise in MS. For more information please click here. ECTRIMS and the European MAGNIMS (Magnetic Resonance in MS) network jointly support a postdoctoral fellowship to foster the development of young researchers in magnetic resonance studies in MS. The goal of this programme is to achieve transfer and broadening of knowledge regarding the application of magnetic resonance to MS research and to promote the researcher’s integration into the international scientific community. ECTRIMS will support two fellowships annually, each with duration of 1 year, with an annual stipend of up to €50,000. For more information please click here. jointly sponsored by ECTRIMS and the US MS Society. A review article on the outcomes was recentlypublished in Brain – a Journal of Neurology, on 28 November 2014. To read the paper please click here. in Porto, Portugal, on 27 and 28 February 2015. For further information please click here. The American Academy of Neurology (AAN) has developed a guideline regarding complementary and lternative medicine (CAM) use in people with MS. The full guideline and more information including definitions of the classifications of evidence and recommendations is available at AAN.com/guidelines. ECTRIMS supports this informative guideline, however, was not involved in its preparation. The International Advisory Committee on Clinical Trials in MS sponsored by the US National Multiple Sclerosis Society (NMSS) and the European Committee on Treatment and Research in Multiple Sclerosis (ECTRIMS) are organizing an International Workshop on MS Comorbidities which will be held from 26-28 March 2015 in Toronto/Canada. The workshop will be chaired by the project’s leader Dr. Ruth Ann Marrie, University of Manitoba. The long-term goals of the MS Comorbidities Project are to develop methods for studying comorbidity in multiple sclerosis (MS), to characterize the types and frequencies of comorbidities in MS and their variation across sociodemographic and geographic subgroups, and to evaluate the impact of comorbidity on MS. The International Advisory Committee on Clinical Trials in MS sponsored by the US National Multiple Sclerosis Society (NMSS) and the European Committee on Treatment and Research in Multiple Sclerosis (ECTRIMS) will organize a major first-ever comprehensive International Conference on Cell-Based Therapy for MS, to be held in late November, 2015, at a European location. Information on the Advisory Committee on Clinical Trials in MS is available here.